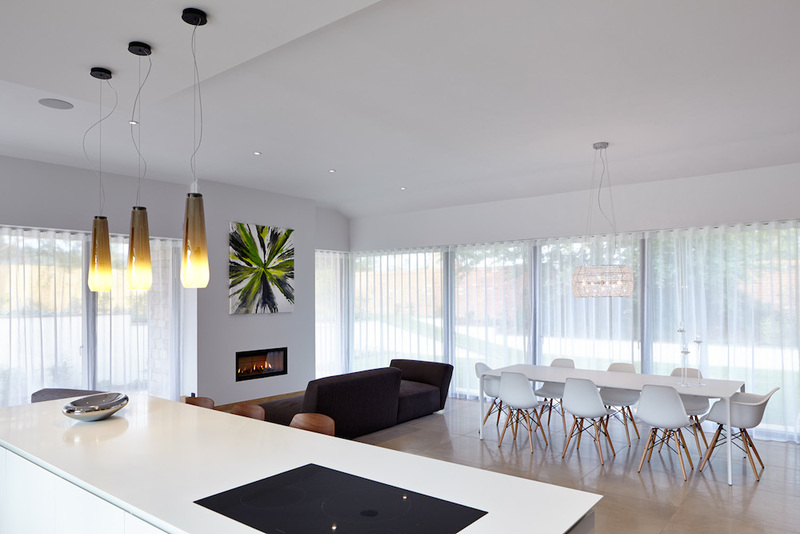 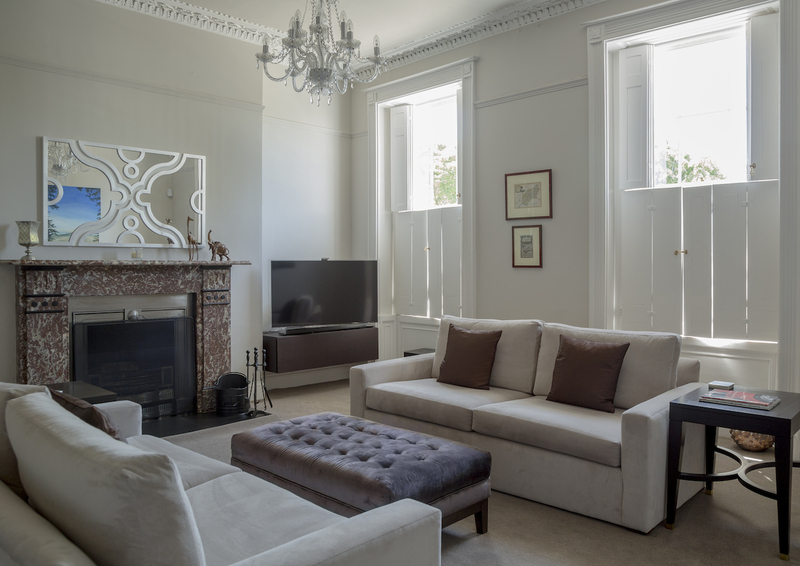 The Brief : This apartment was a turnkey project for some American based clients who wanted a Cheltenham apartment in order to be near family and friends. 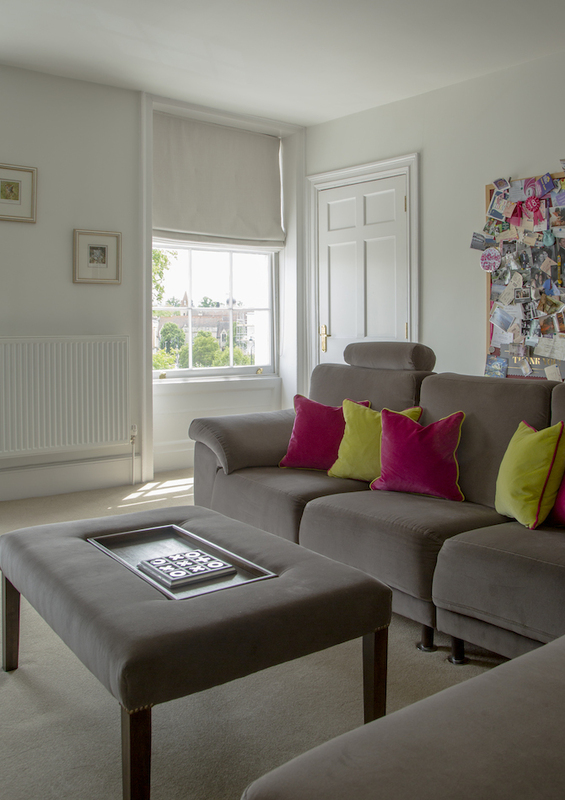 Their brief was that fabrics, colours and patterns should be reflective of nature and that the ‘feel’ of the apartment should be very calm. 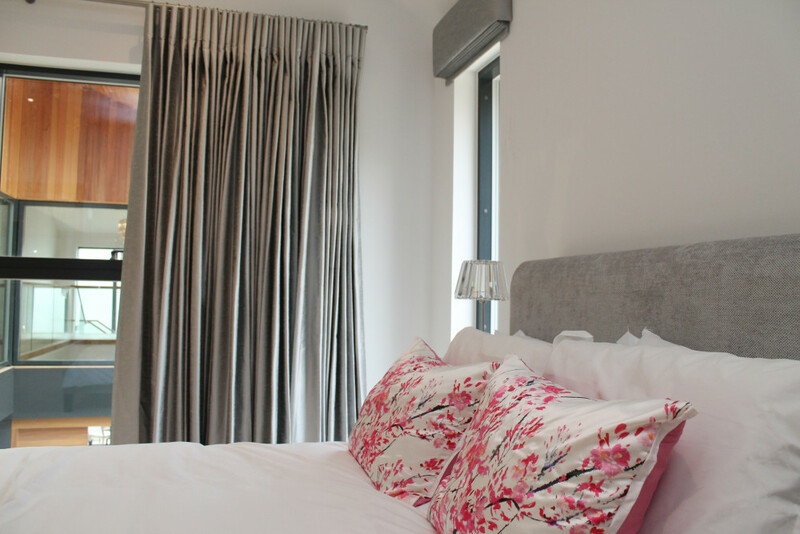 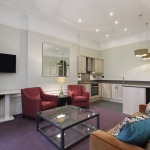 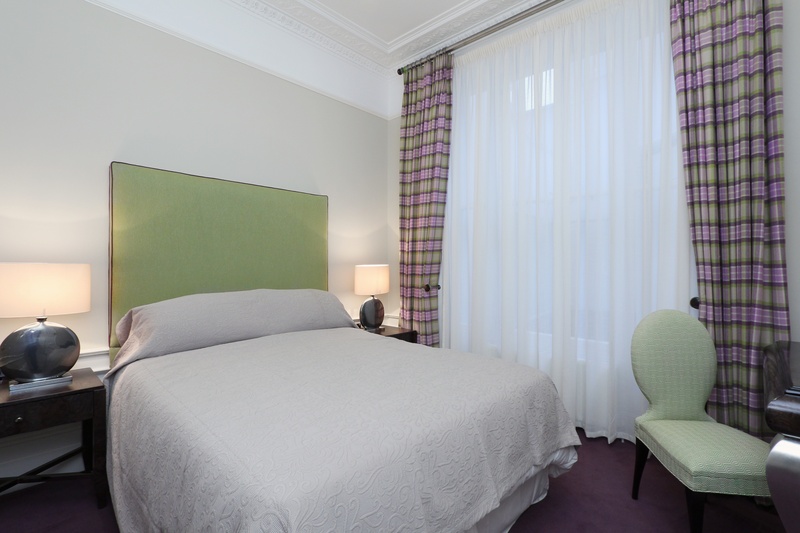 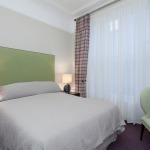 We had all upholstery and soft furnishings made as bespoke items and sourced all other elements of lighting and furniture from various design houses – we supplied the clients with everything they required right down to bed linen and towels. 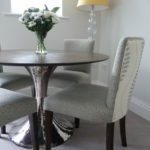 Bespoke upholstered sofas, ottoman & dining chairs. 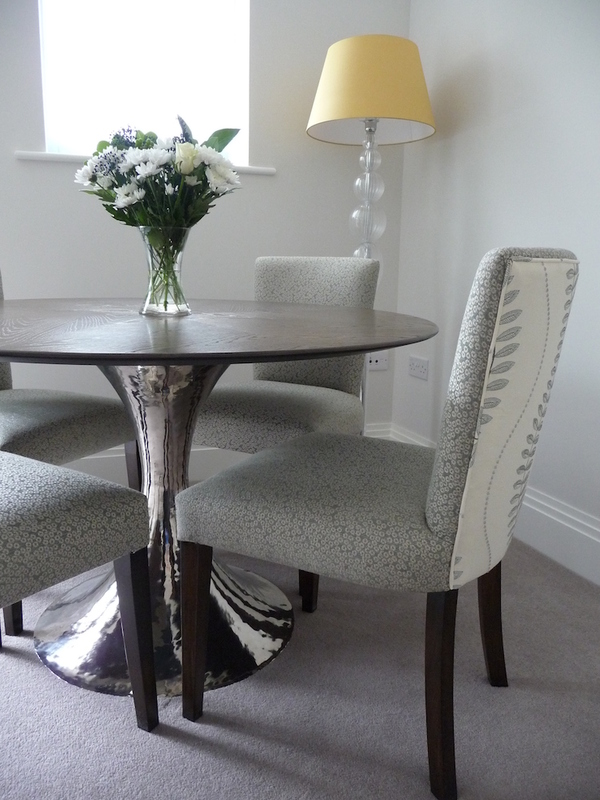 Bespoke dining chairs with grey oak & nickel table. 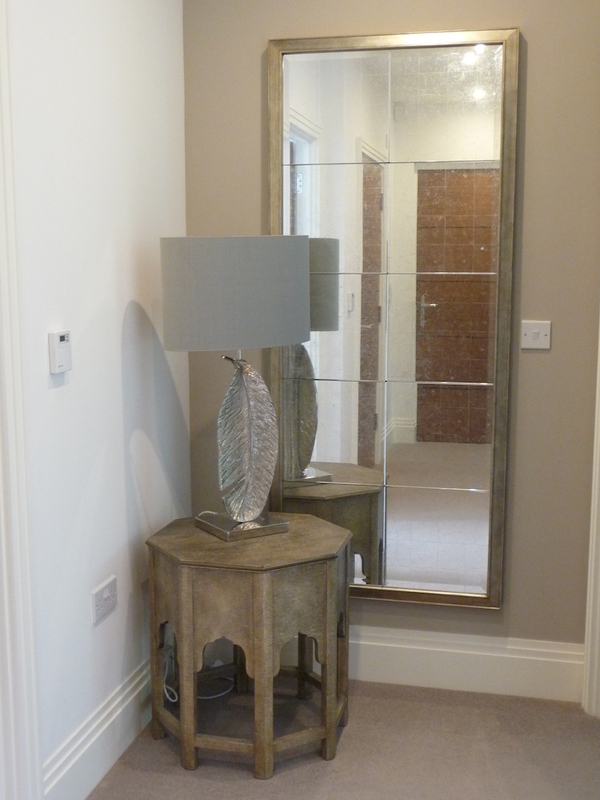 Nickel leaf table lamp and Moroccan inspired table. 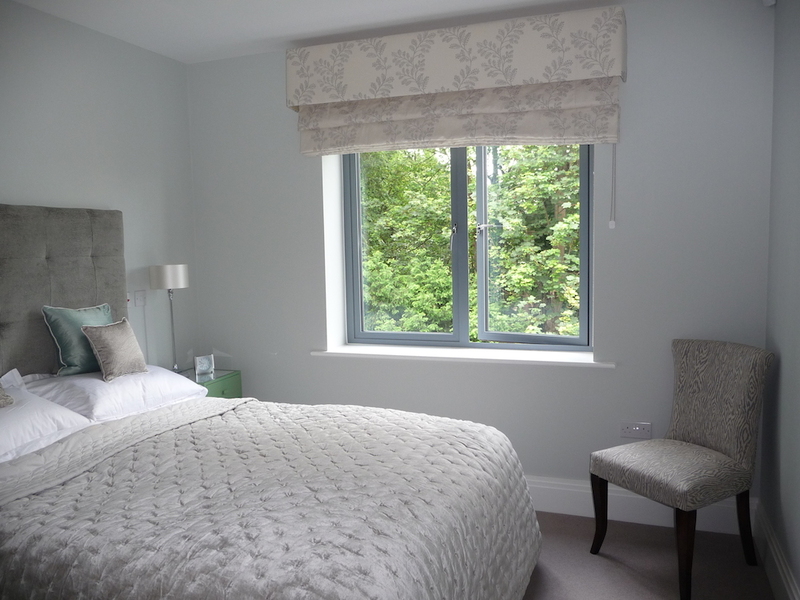 Bespoke headboard, chair & roman blind with pelmet. 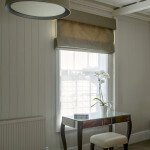 Bespoke upholstery & roman blind with wenge desk. 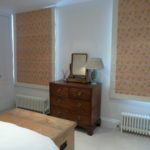 Roman blind & pelmet with yellow table lamp. 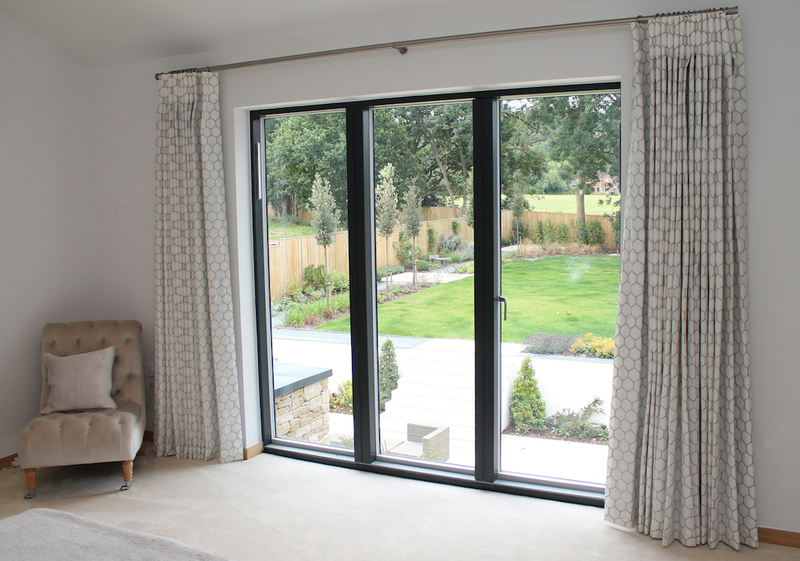 The Brief : We recently had the pleasure of working with Marcus Homes on one of his developments in Cheltenham, where we provided the property with all the window dressings. 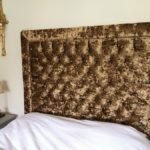 We were asked to create a look which was in keeping with the contemporary style of the architecture, while evoking a sense of elegance and luxury. 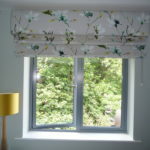 Wave headed curtains with pencil pleat voiles. 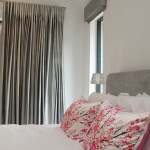 Cartridge pleat curtains in metallic fabric with pencil pleat voiles. 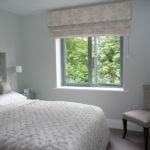 Cartridge pleat curtains & roman blind with upholstered pelmet. 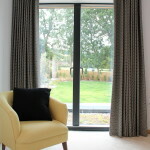 Cartridge pleat curtains on stainless steel pole. 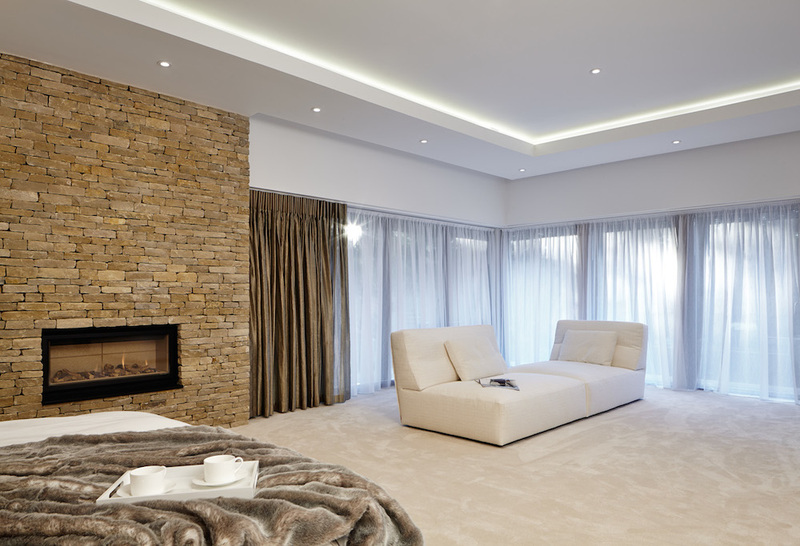 The Brief : To create a calm, modern environment for our client to relax in, after long working days running his international business. 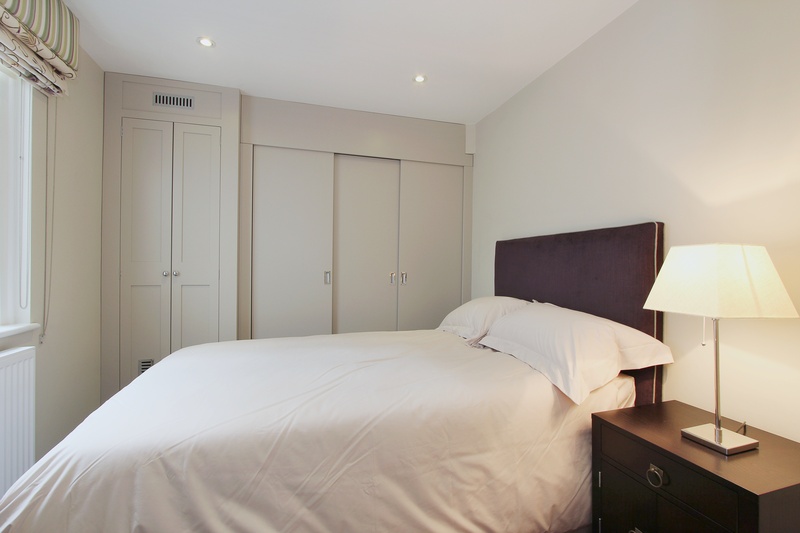 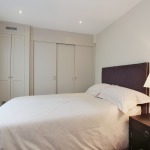 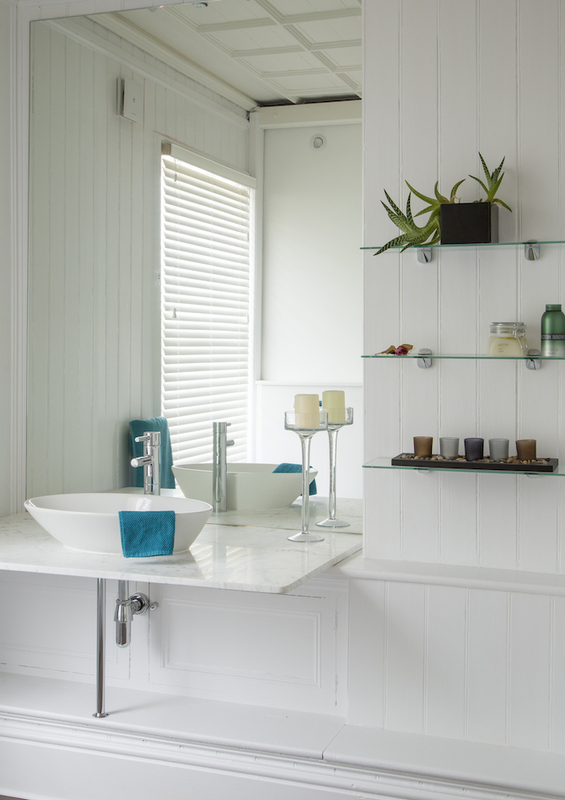 We remodelled existing bedrooms to create en-suites and dressing rooms, undertaking the works and the soft furnishings. 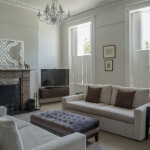 Bespoke sofas & upholstered footstool. 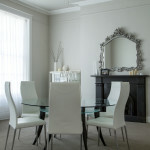 Glass dining table with white leather chairs. 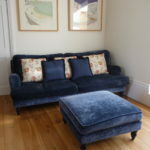 Bespoke corner sofa & upholstered footstool with inset tray. 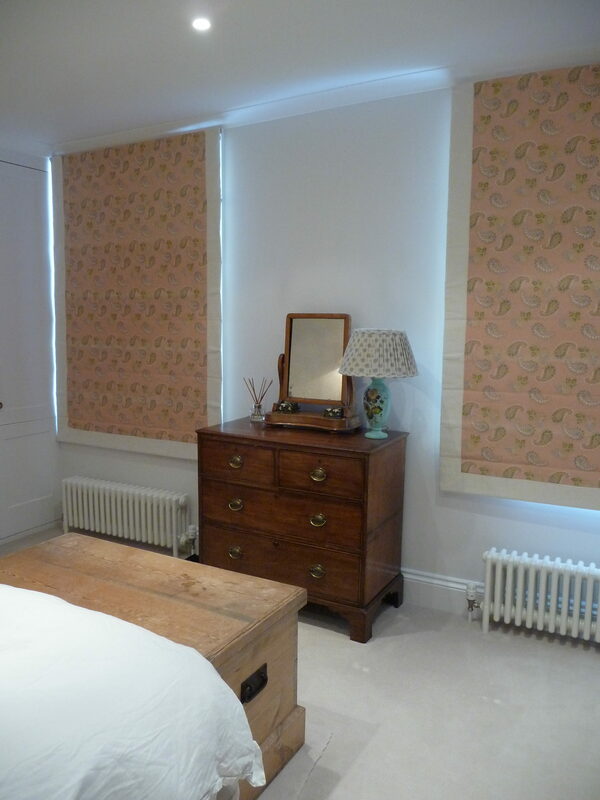 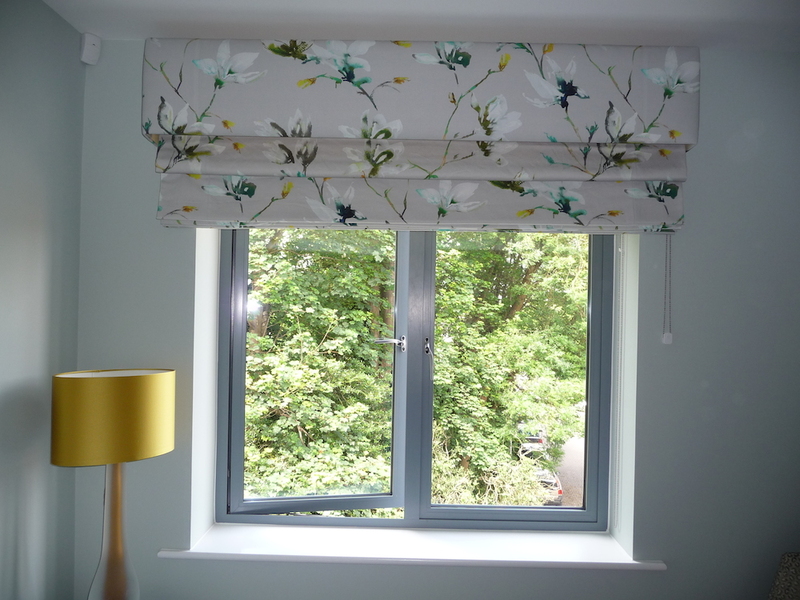 Silk roman blind with upholstered pelmet & matching lampshades. 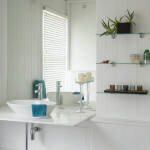 Basin & marble worktop within new bathroom. 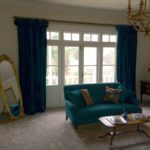 The Brief : This clients home shows a glorious mix of crushed velvets, silk dupions and cascades of soft voiles, creating a truly elegant and feminine home. 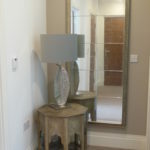 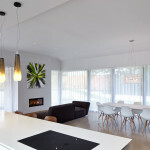 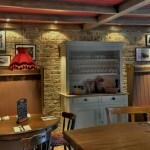 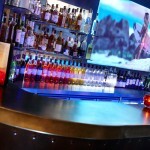 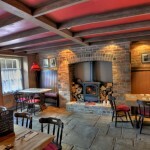 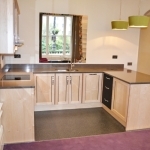 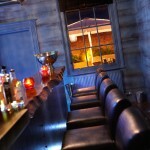 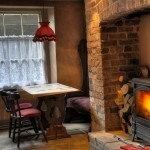 Beltaine Designs undertook all aspects of the furnishing works allowing our client to continue running her business. 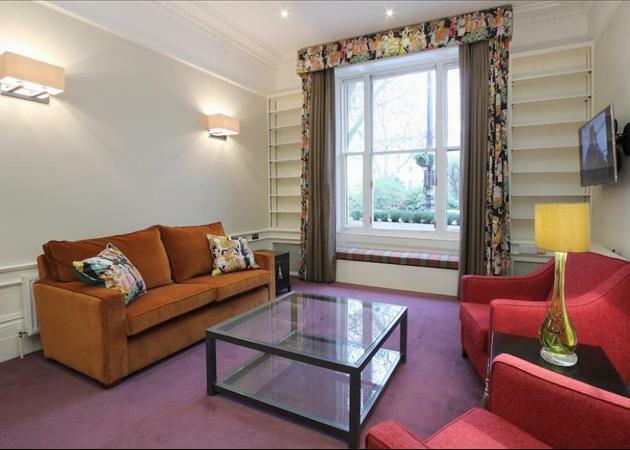 Bespoke sofas in crushed velvet. 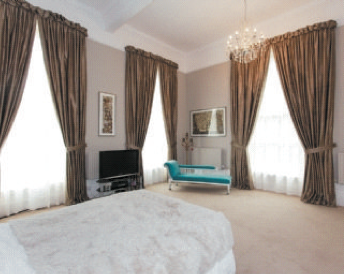 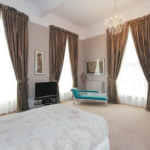 Silk curtains & upholstered pelmet with glass bead trim. 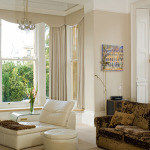 Curtains with puff ball heading. 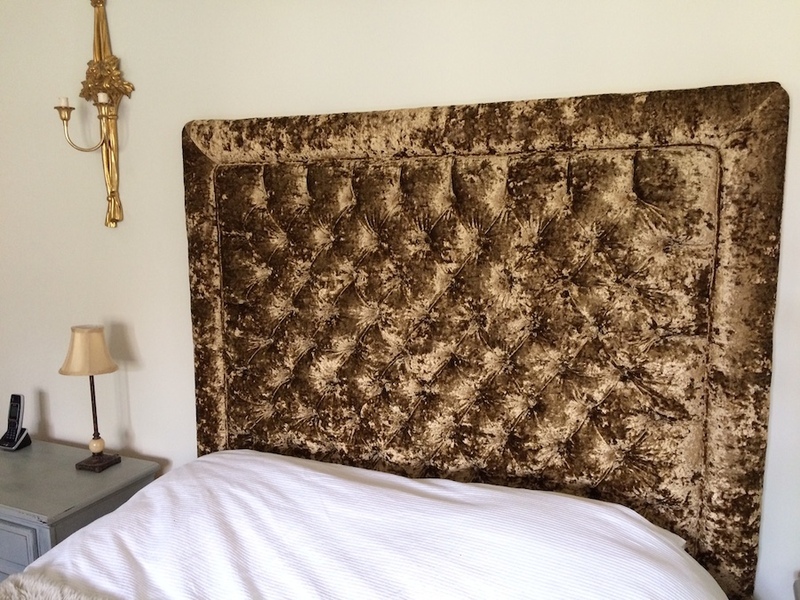 Bespoke deep buttoned headboard in crushed velvet. 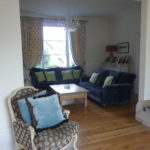 Curtains with puff ball heading & re-upholstered sofa. 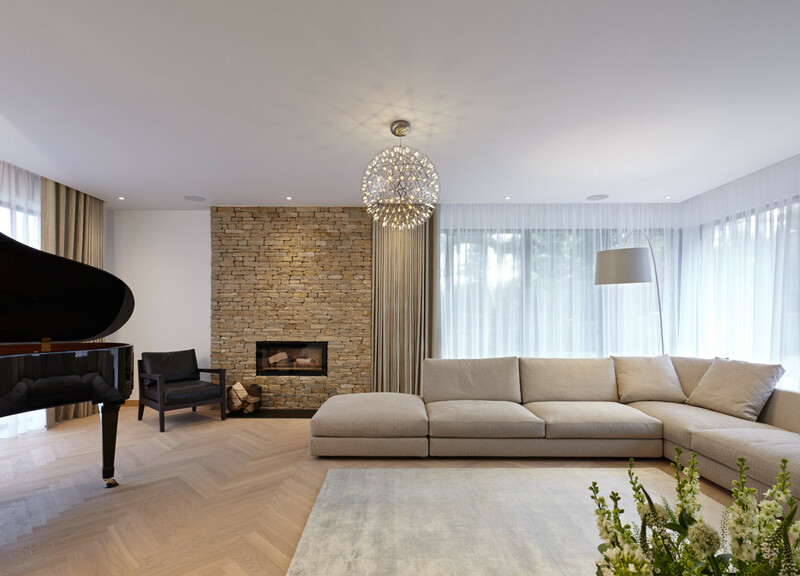 The Brief : Here we followed the strong artistic direction offered by our client, to create a warm family home with a European flavour. 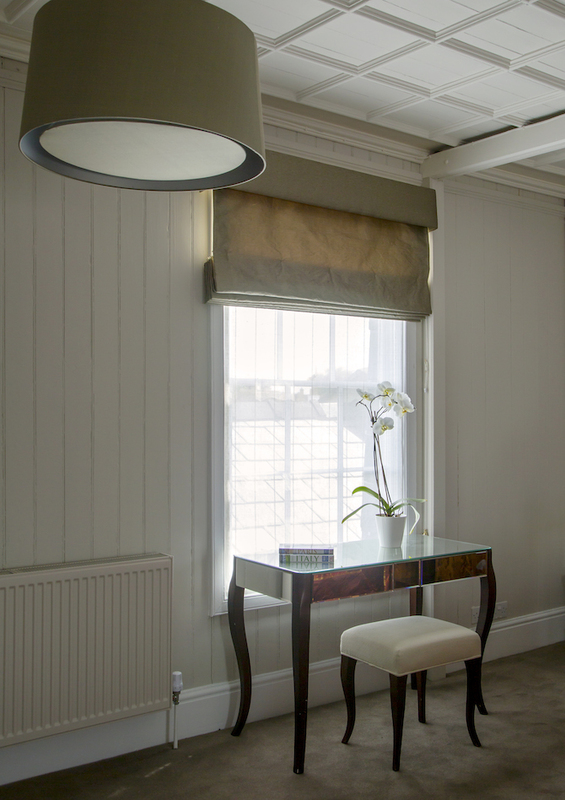 We undertook the project management alongside the sourcing and installation of flooring, carpentry, soft furnishings and bespoke furniture. 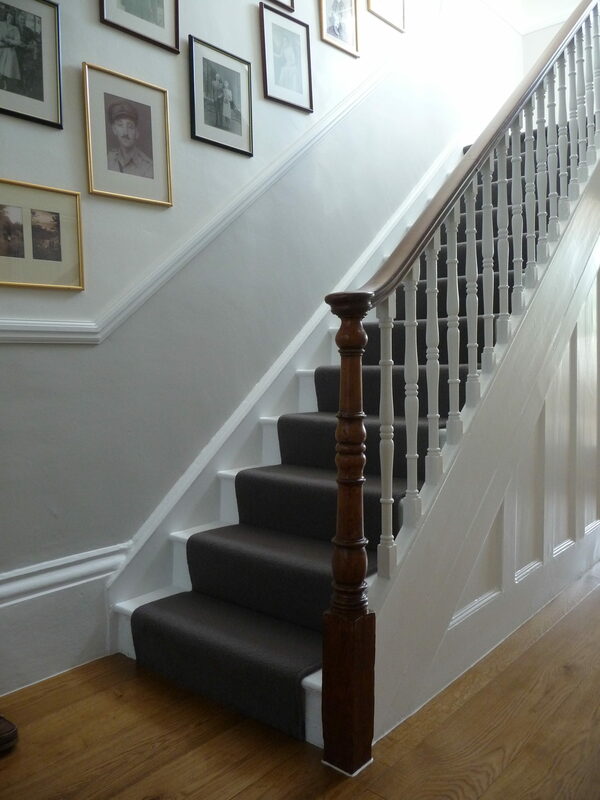 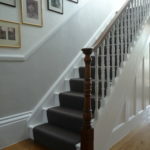 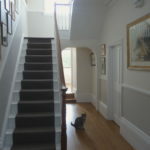 Freshly decorated hallway, new engineered oak flooring & stair runner. 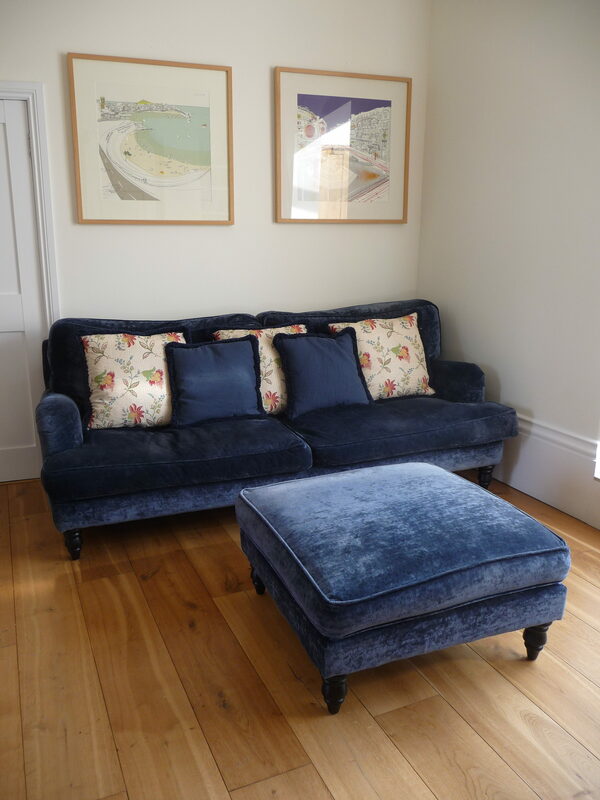 Bespoke velvet sofa and footstool. 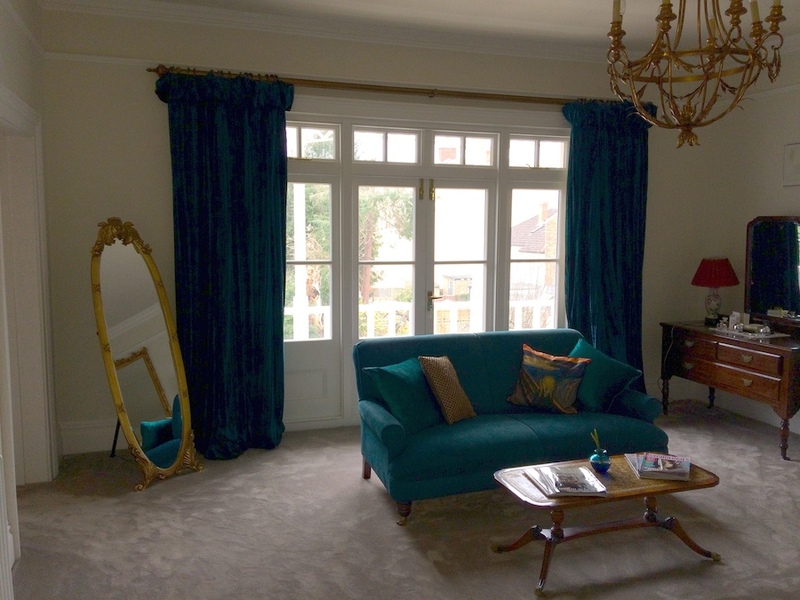 Bespoke velvet sofas, curtains and cushions. 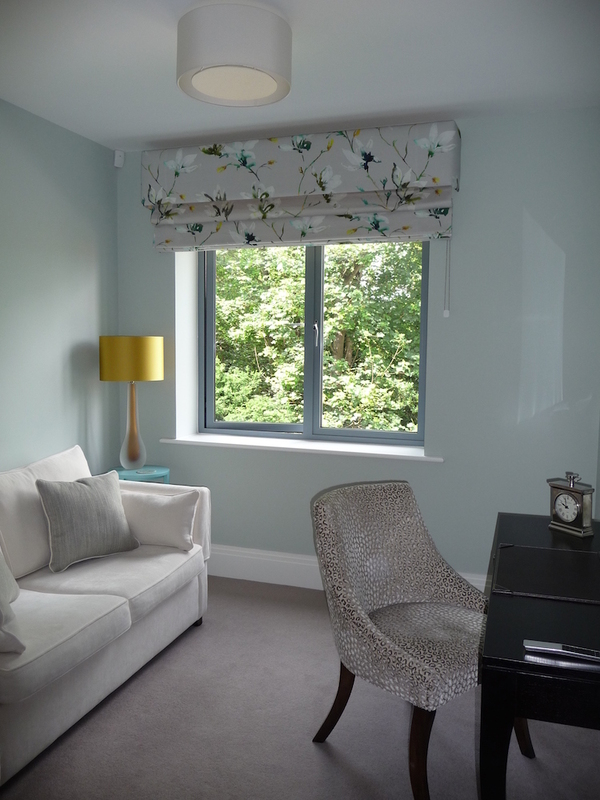 New roman blinds with contrast border & new radiators. 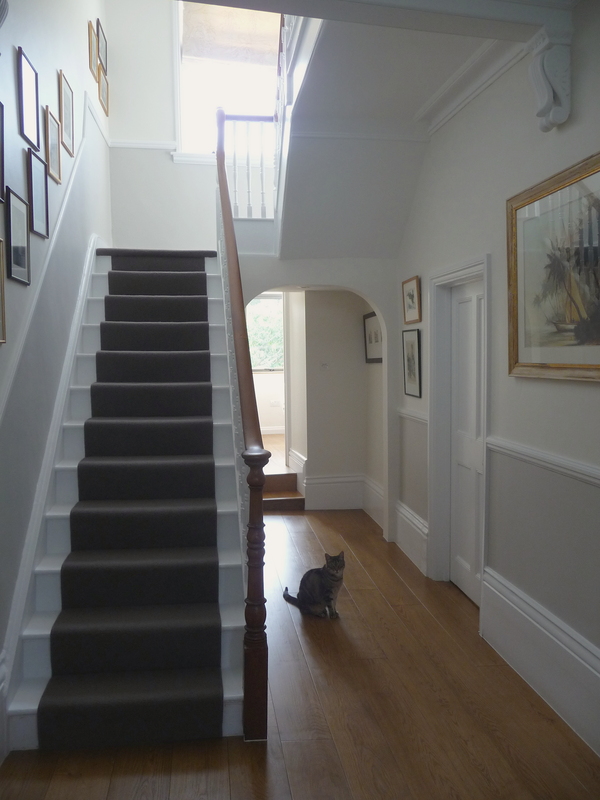 The Brief : This was a completely turn-key project. 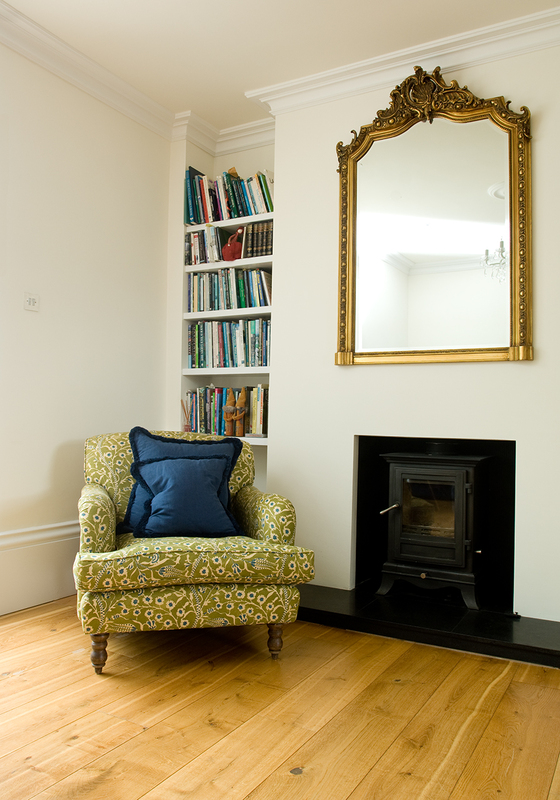 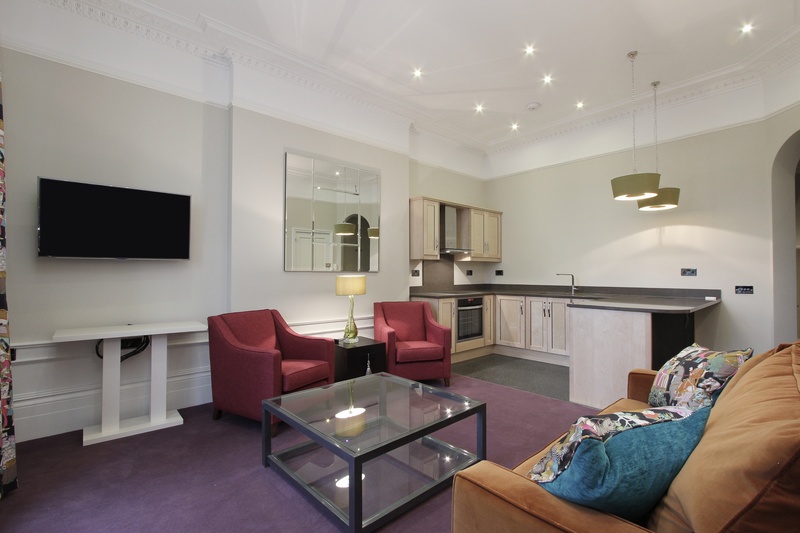 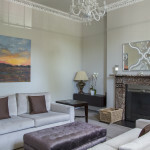 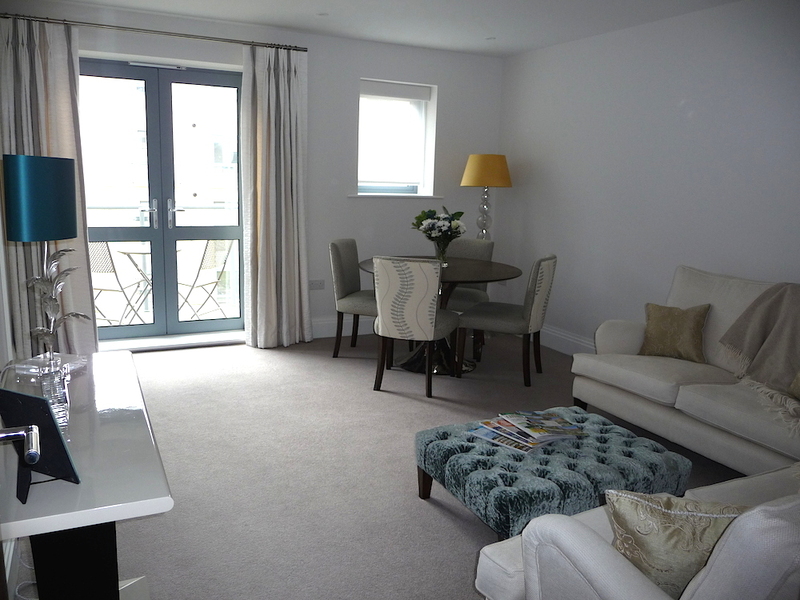 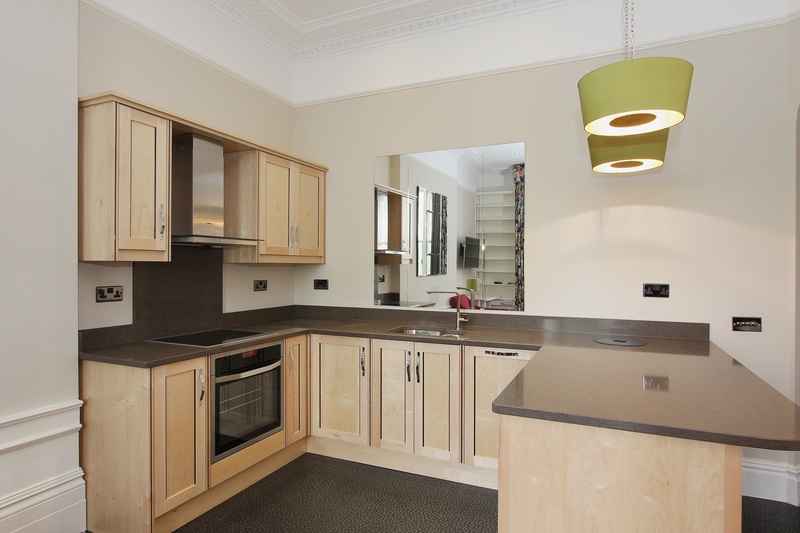 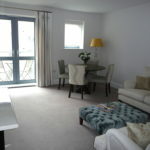 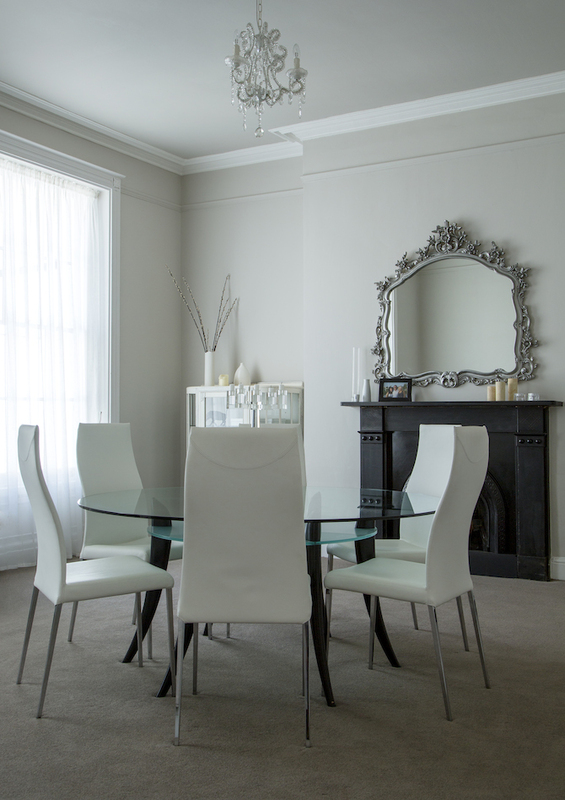 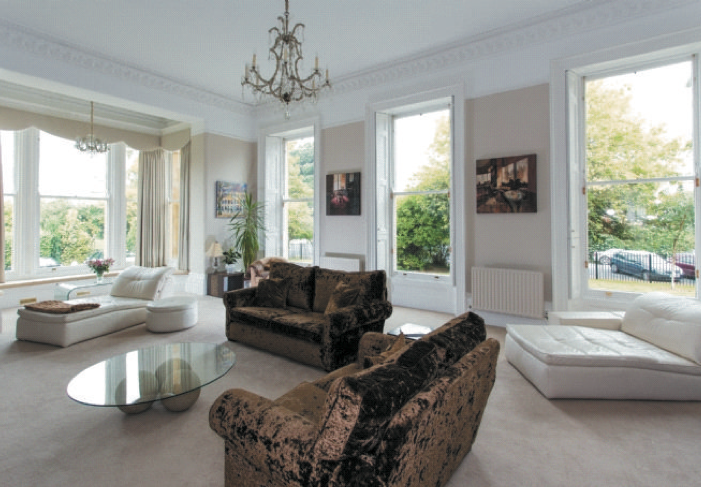 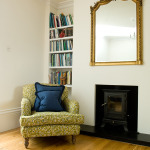 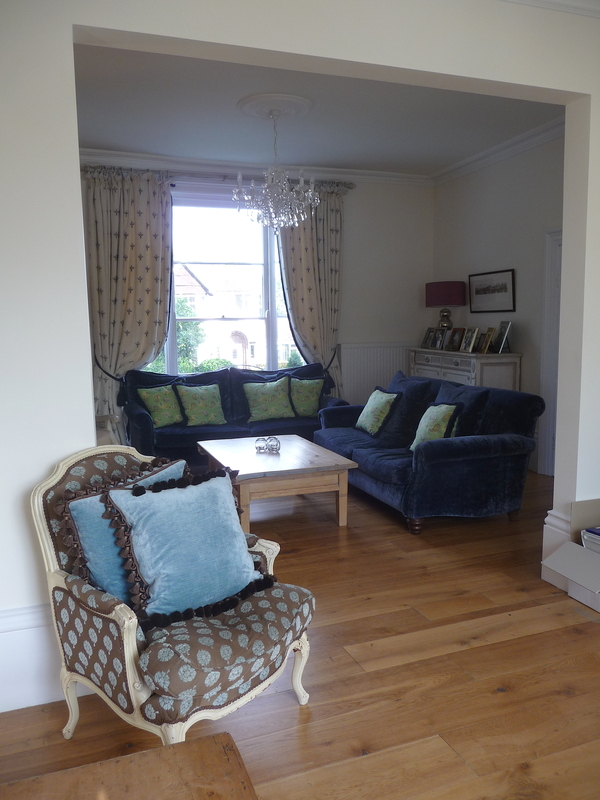 The apartment was completely renovated by Beltaine, having been untouched for 30 years. 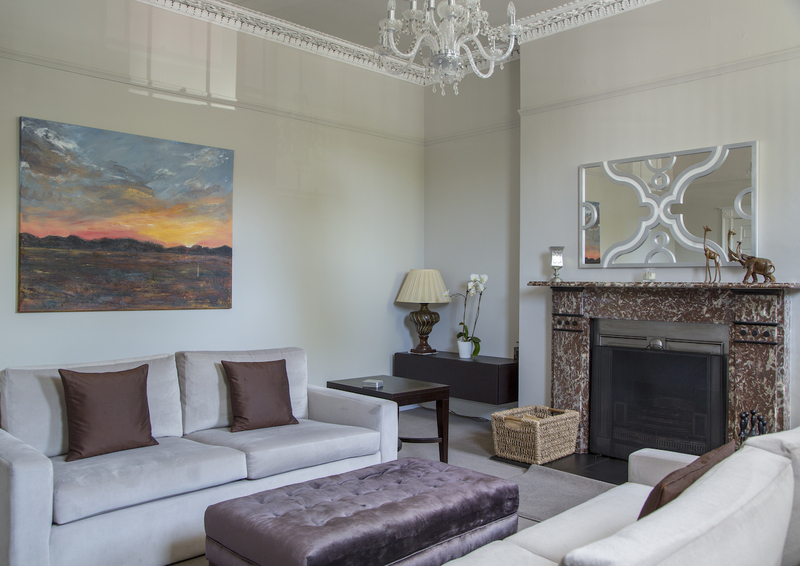 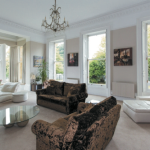 Using a local building firm, restoration of the drawing room involved removing existing partition walls and re-instating decorative plasterwork to ceilings and frieze – bringing the interior back to its classic beauty. 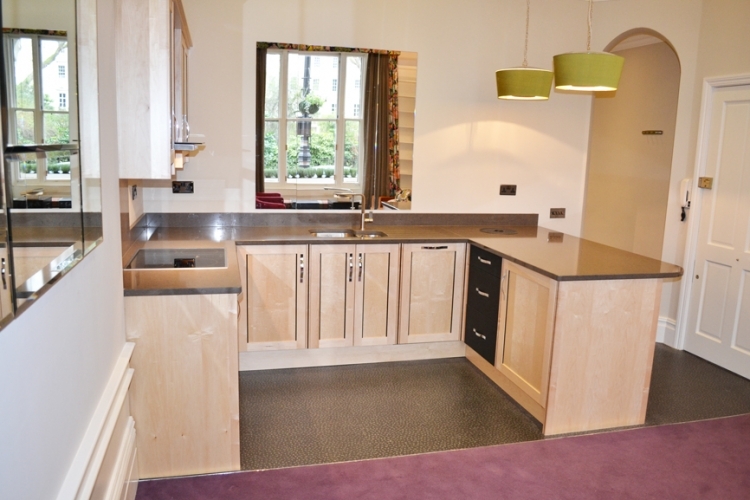 A hand-built kitchen was installed before we went on to provide all the furniture and soft furnishings, right down to the cutlery! 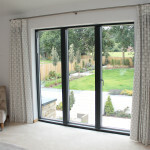 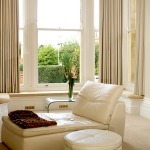 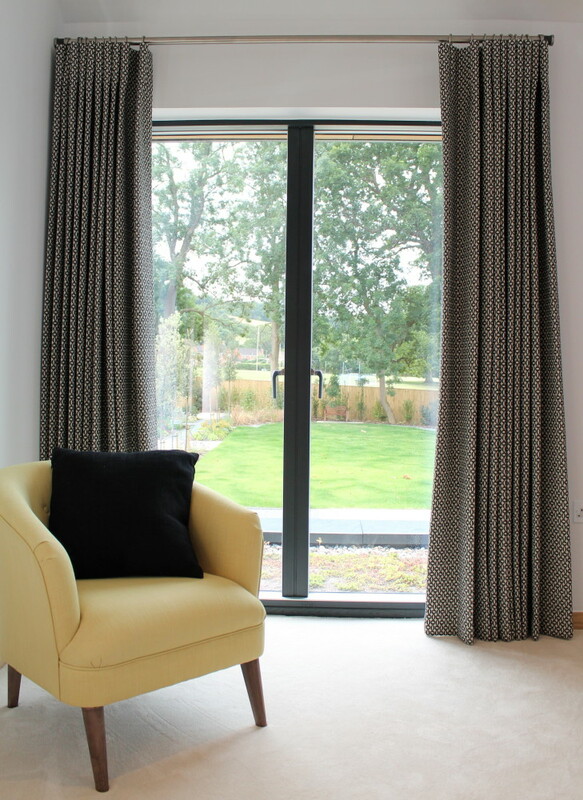 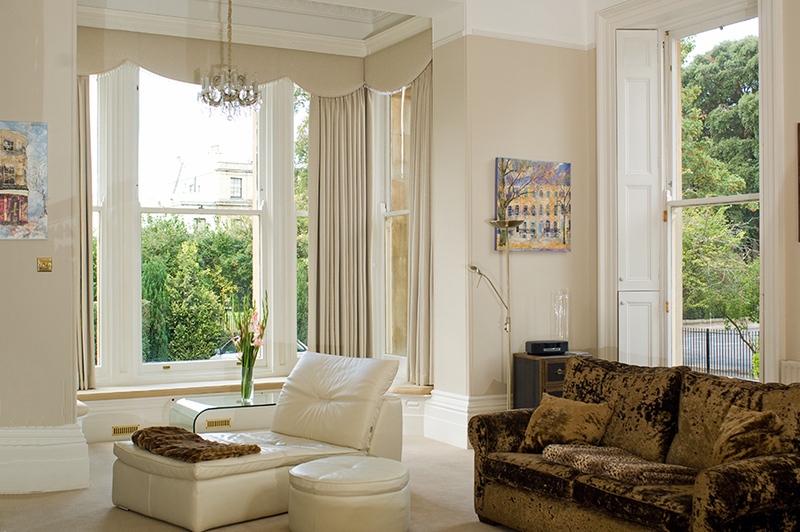 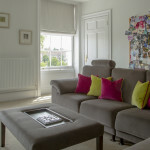 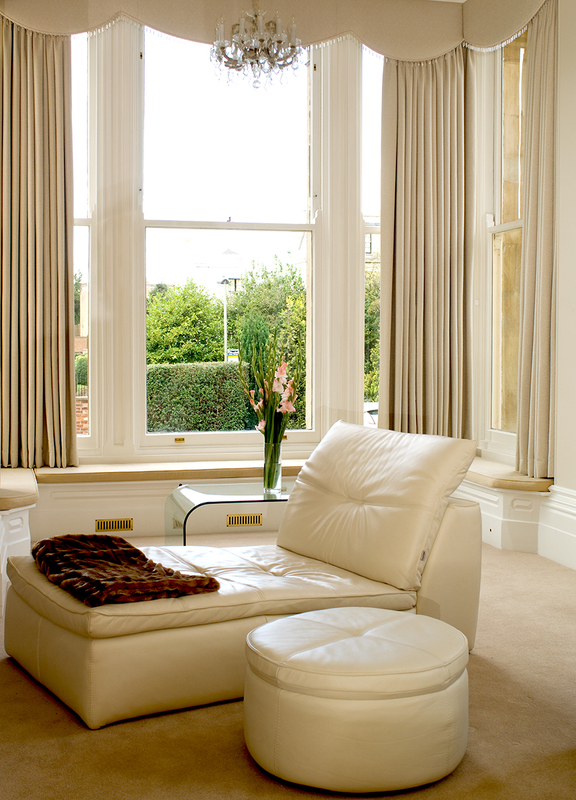 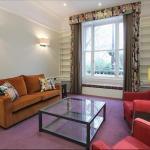 Bespoke window dressings & upholstered furniture. 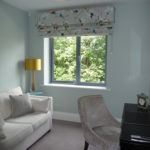 Bespoke curtains, headboard & occasional chair. 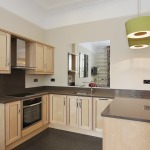 Bespoke cupboards installed to suit the space. 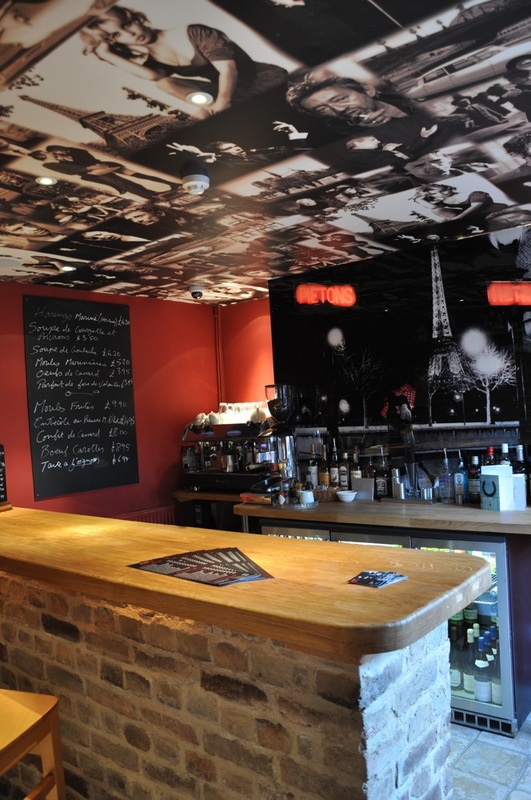 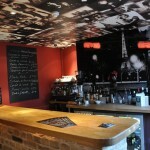 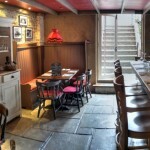 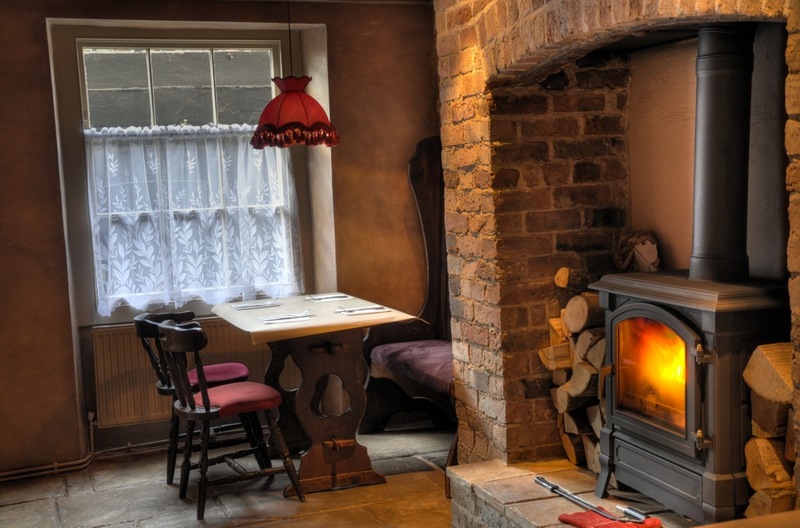 The Brief : Creating a little corner of France in the heart of Cheltenham. 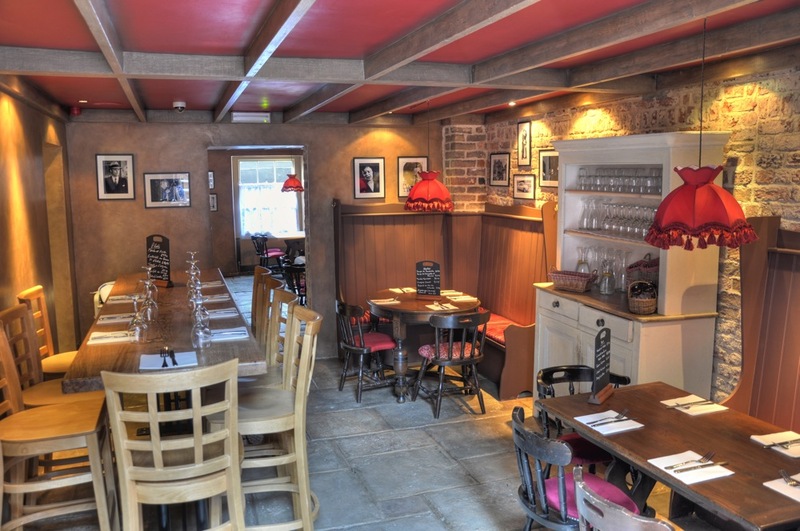 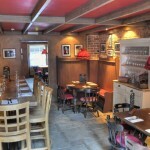 Using rich deep colours, rough hewn polished oak for the bar, refectory tables and original stone flags to flooring to bring an original and quirky result. 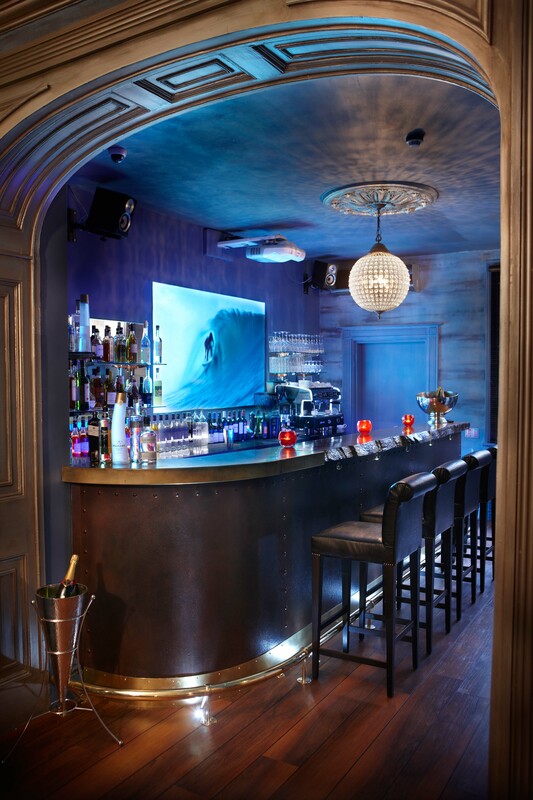 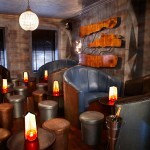 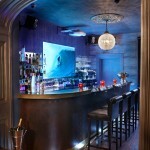 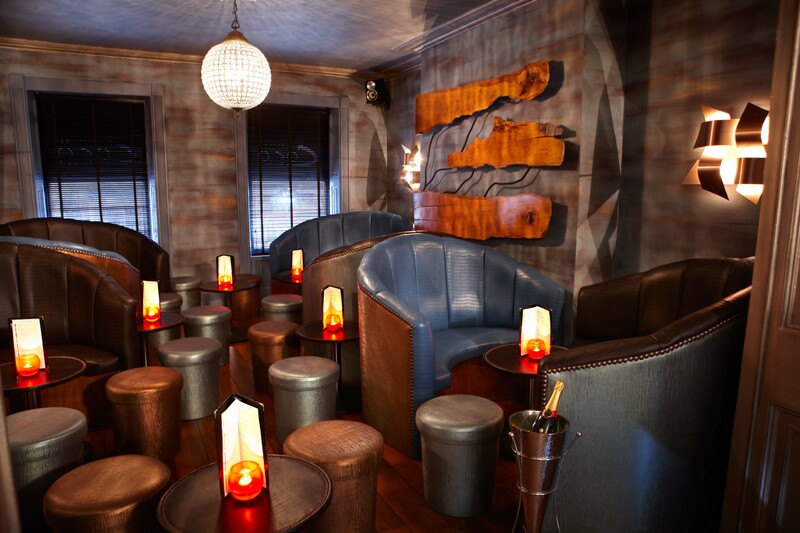 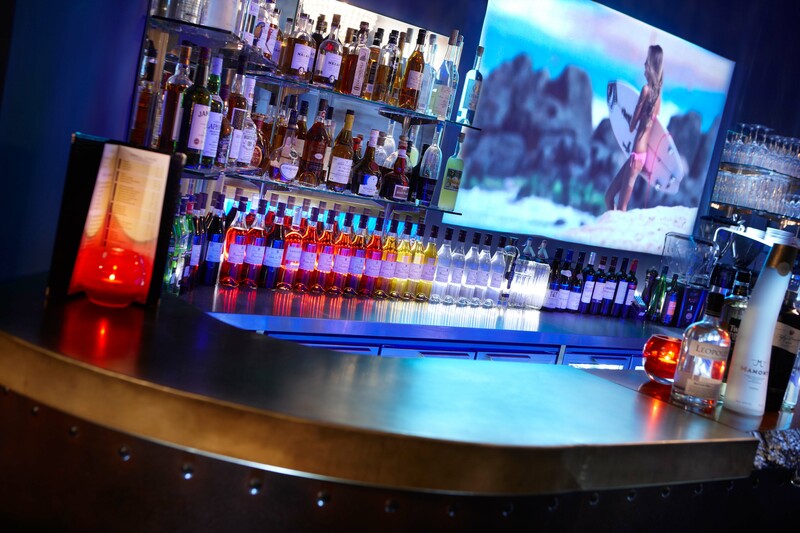 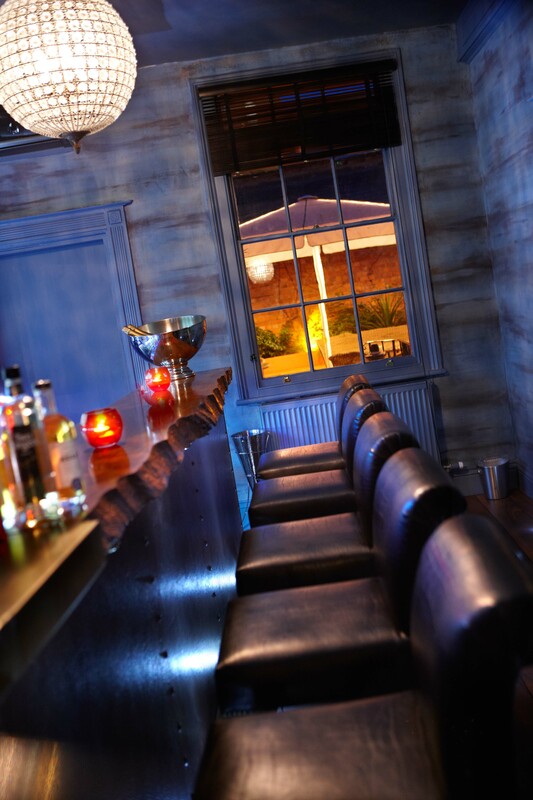 The Brief : We needed to convey a feel of sipping cocktails surrounded by exotic wall paintings with luminous blues and silvers used on the walls and ceilings. 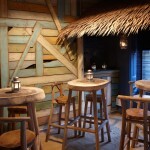 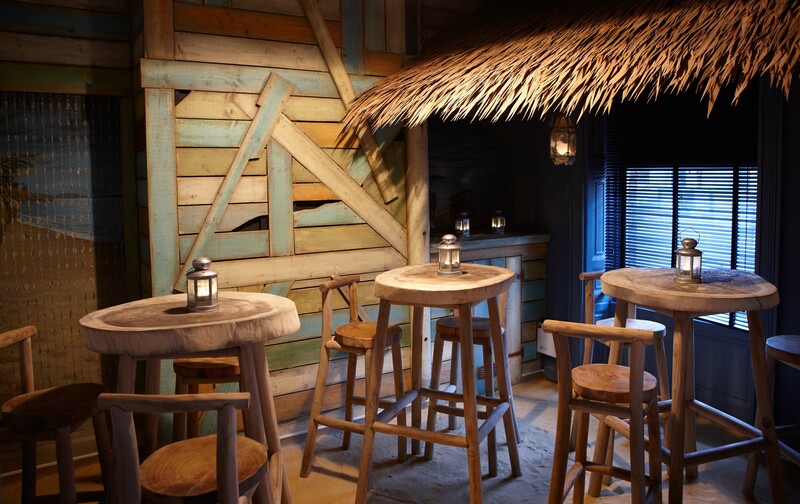 With a real sand beach included, the tropics came to Cheltenham!